All Fresh Carpet and Tile Care will exceed your expectations with our service experience. 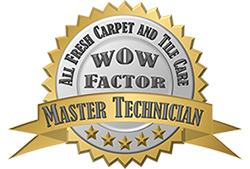 WOW is the only thing you will have to say when All Fresh Carpet and Tile Care have finished with your floors. All Fresh is renowned for it’s high quality of workmanship and continues to grow due to our loyal customer base.